Blue Water® Webbing is specially designed for the demands of rescue. Climb-spec Tubular exceeds the strength of normal Mil-spec webbing. It will also out-wear any comparably sized webbing. 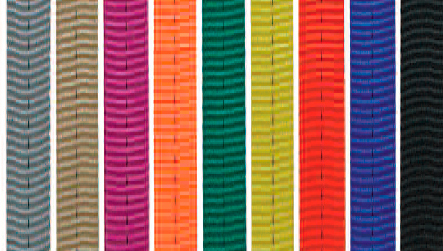 1″ Tubular Webbing: Black, silver, blue, green, orange, purple, red, yellow. 2″ Tubular Webbing: Black, blue, red. These etriers are made from a single length of medium weight flat weave webbing with stiffeners sewn into the bottom of each step for easy access. They are sewn with nylon thread. 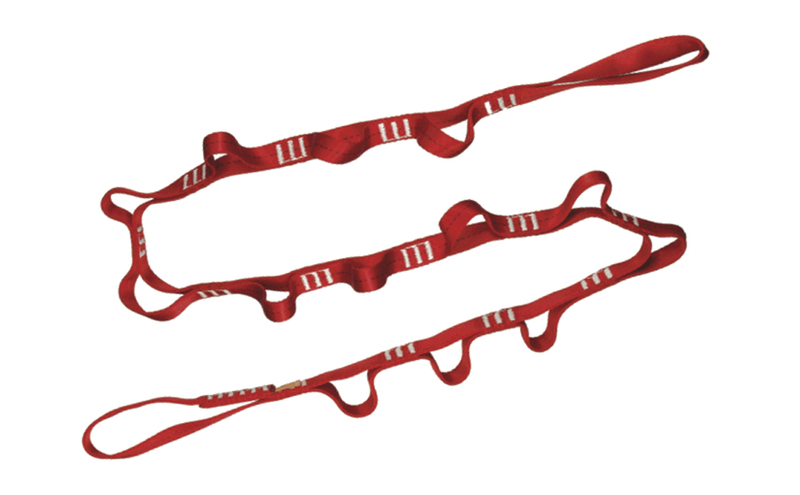 A 9/16″ Climb-spec webbing loop is sewn at the top for high clips. Black and Assorted colors. Useful in rope ascending techniques when using Yates Rescue Stirrups and a chest ascender. Useful in rope ascending techniques when using Yates Rescue Stirrups and a chest ascender. Daisy strap incorporates a heavy duty cam buckle which allows user to easily adjust the distance between seat harness and ascender. At full extension adjustable daisy measures 56 inches. Strength 1125 lbf. (5 kN). 14 mm SPECTRA 4,275 (19kN) Flat webbing. Sewn in a continuous loop. SPECTRA webbing consists of a blend of SPECTRA and Nylon fibers woven together to form a webbing with many superior properties. SPECTRA webbing is extremely cut resistant, but not intended for use in high heat applications. Colors: Black, red, green, blue, yellow, grey, purple.